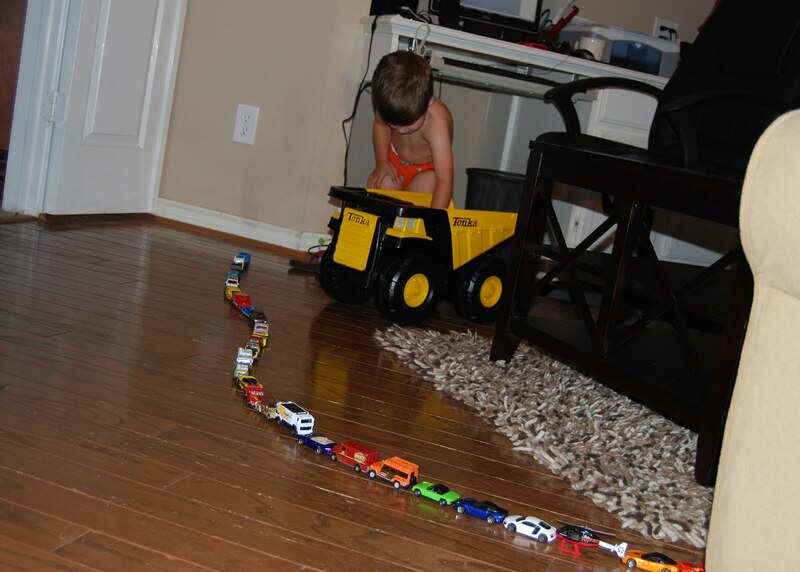 Luke loves to line things up, especially his growing collection of cars. 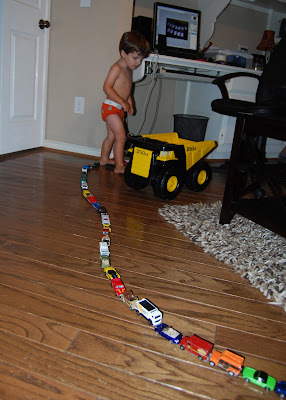 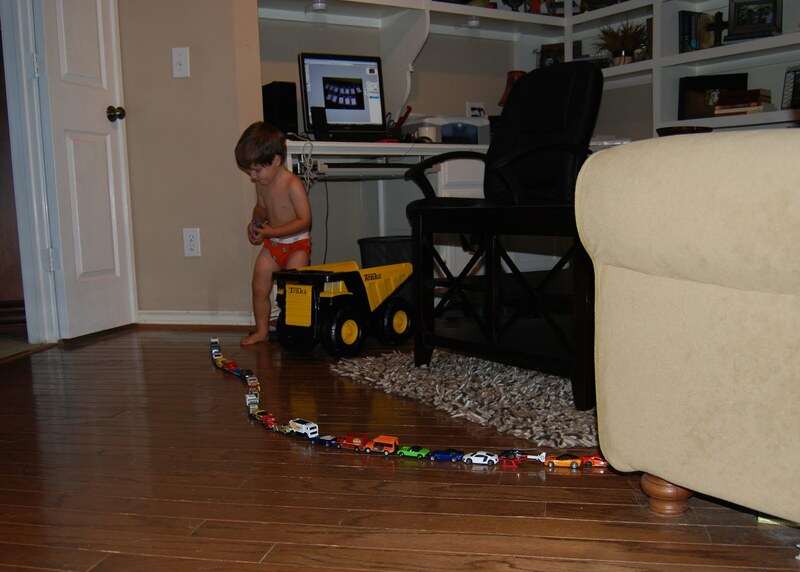 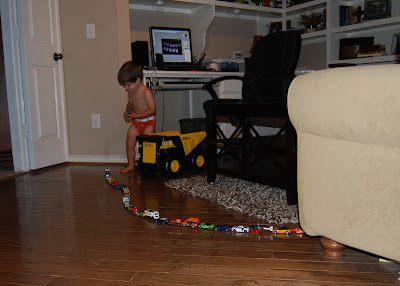 It's pretty typical to find a long, twisty, line of cars stretching from one point to another somewhere in our house. Say it with me, engineer.